Down here in the South, we have the expression "faire pâquette". It means to have a picnic in the countryside on Easter Monday. The traditional dessert is a sweet omelette (beat eggs and sugar and cook it in a frying pan). A little bit North, dessert is a sweet "pascade" (as the name tells, it comes from "pâque"). It’s a thick crêpe with some flour to make it stiffer. 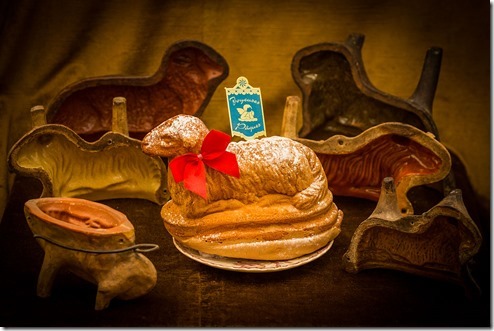 In Alsace, they bake a cake in a special mold in the form of a lamb. Last but not least, the Sunday before Easter Sunday is Palm Sunday (Dimanche des Rameaux). The expression "Faire Pâques avant les Rameaux" (Having Easter before Palm Sunday) means getting pregnant before getting married! 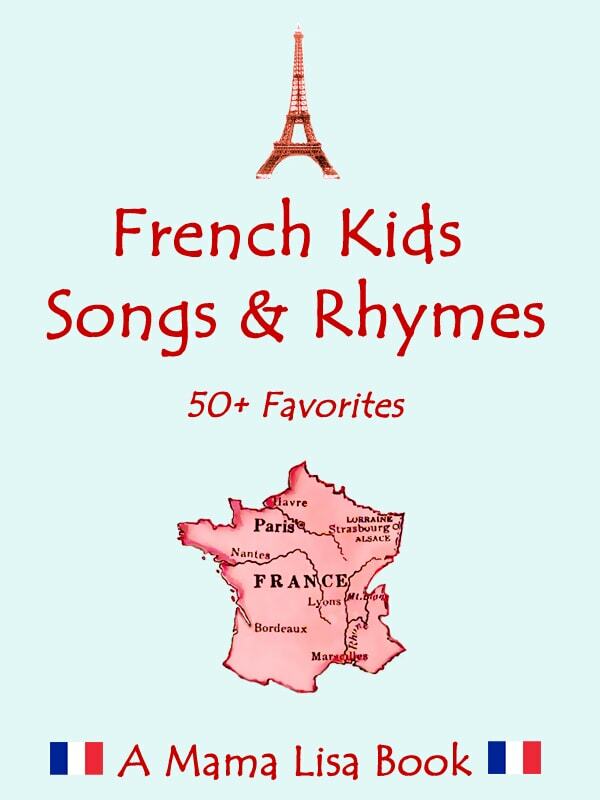 Thanks for writing about Easter in France Monique! Image: Photo Claude TRUONG-NGOC – own work, cc. This article was posted on Wednesday, March 16th, 2016 at 1:02 pm	and is filed under Alsace, Countries & Cultures, Easter, France, Holidays Around the World. You can follow any responses to this entry through the RSS 2.0 feed. You can leave a response, or trackback from your own site. << Can Anyone Help with an Irish Saying?